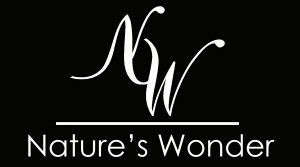 Thank you for visiting us at www.natureswonderus.com. [Natures Wonder LLC] (“we” or “us”) owns and maintains www.natureswonderus.com (adding www.natureswonderus.com Mobile) (collectively, our or this “Site”), where we provide our services, (collectively referred to as “Retail Business For Skincare Products”), a Las Vegas, US based Company that sell to customers, (collectively known as “Users”, “Clients” or “Customers”) skincare products at expo, conferences, trade show and retail location. THE TERMS AND CONDITIONS SET FORTH BELOW FORM AN AGREEMENT (THE “TERMS”) THAT GOVERNS YOUR USE OF THE SERVICE. Please study these Terms of Service from time to time so that you will be informed of any changes. You understand and agree that if you use the Services after the date on which the applicable Terms have changed, your use constitutes acceptance of the updated Terms. Natures Wonder LLC is a retail business that sell beauty skincare products at expo, conferences, trade show and retail location. Natures Wonder LLC is a Las Vegas company that sells to end users (hereinafter also alluded to as “Client”, “Users”, “Customers” or “Clients”) skincare beauty products that utilizes stem cells harvested from organic products. The information on this website or content is not intended to replace a one-on-one relationship with a qualified health care professional and is not intended as medical advice.You must consult your own doctor when embarking on a new health regime. By using this website or our products, you agree that Natures Wonder LLC, its authors, sponsors, and affiliates will not be held responsible for any decisions, purchases, or consequences made by users of this website at any expo, conferences, trade show and retail location. All rights reserved. No part of the Web site or the Content including our products, designs, photos, ideas or text may be reproduced, modified, distributed, published, sold, licensed, broadcasted, retransmitted, circulated in any form or used in any way without the prior written consent of Natures Wonder LLC and its subsidiaries. The trademarks, names, logos, designs and service marks (collectively “trademarks”) displayed on this website are registered and unregistered trademarks of Natures Wonder LLC. Nothing contained on this website should be construed as granting any license or right to use any trademark without the prior written permission of the website owner or their perspective owners. In addition to other prohibitions as set forth in the Terms of Service, you are prohibited from using the site or its content: (a) for any unlawful purpose; (b) to solicit others to perform or participate in any unlawful acts; (c) to violate any international, federal, provincial or state regulations, rules, laws, or local ordinances; (d) to infringe upon or violate our intellectual property rights or the intellectual property rights of others; (e) to harass, abuse, insult, harm, defame, slander, disparage, intimidate, or discriminate based on gender, sexual orientation, religion, ethnicity, race, age, national origin, or disability; (f) to submit false or misleading information; (g) to upload or transmit viruses or any other type of malicious code that will or may be used in any way that will affect the functionality or operation of the Service or of any related website, other websites, or the Internet; (h) to collect or track the personal information of others; (i) to spam, phish, pharm, pretext, spider, crawl, or scrape; (j) for any obscene or immoral purpose; or (k) to interfere with or circumvent the security features of the Service or any related website, other websites, or the Internet; (l) Use, download or otherwise copy, or make available (whether or not for a fee) to a person or entity: any directory of users of the Services or other user or usage information or any portion thereof; (m) Upload, download, use, or otherwise copy, or make available (whether or not for a fee) any file that contains text, images, photographs, software or other material protected by trade secret, or any intellectual property laws, including, by way of example, and not as a limitation, copyright or trademark or service mark or patent laws (or by rights of privacy or publicity) unless you own or control the rights thereto or have received all necessary consent to do the same. (n) Use any material or information which are made available through the Services in any manner that infringes any copyright, trademark, patent, trade secret, or other proprietary right of any party, or violates any other applicable law; (o) Modify, publish, transmit, settle, transfer, sell, lease, rent, license, sublicense, assign, reproduce, create derivative works from, distribute, perform, link, display or in any way exploit Natureswonderus.com database other than for the limited purposes for which material is licensed for your use; (p) Use or exploit any part of the Site or any software deployed in connection with the Site as, or as the content of, a service offered or supplied to other persons or entities without the express written consent of Natureswonderus.com. We reserve the right to terminate your use of the Service or any related website for violating any of the prohibited uses. At Natures Wonder LLC, you order or purchase our products at any expo, conferences, trade show and retail location. Prior to submitting your order, we give the customer the opportunity to review their selection, check the total price of the order and correct any errors. Your order represents an offer by you to purchase products selected by you. If products displayed on our website are not available or are incorrectly priced or incorrectly described, we shall not be obliged to sell you the products as shown. We reserve the right to change at any time and without any previous notice the products offered on our website. It is absolutely important that you check carefully the quantity of products that you order from us. We will deliver what you order. You expressly agree that though you have a right of cancellation you must pay for the delivery costs back to us. We reserve the prerogative to refuse any order you place with us. We may, in our sole discretion, limit or cancel quantities purchased per person, per household or per order. These restrictions may include orders placed by or under the same customer account, and/or orders that use the same billing and/or shipping address. In the event that we make a change to or cancel an order, we may attempt to notify you by contacting the e-mail and/or billing address/phone number provided at the time the order was made. We reserve the right to limit or prohibit orders that, in our sole judgment, appear to be placed by dealers, resellers or distributors. Occasionally there may be information on our site or in the Service that contains typographical errors, inaccuracies or omissions that may relate to product descriptions, pricing, promotions, offers, product shipping charges, transit times and availability. We reserve the right to correct any errors, inaccuracies or omissions, and to change or update information or cancel orders if any information in the Service or on any related website is inaccurate at any time without prior notice (including after you have submitted your order). We undertake no obligation to update, amend or clarify information in the Service or on any related website, including without limitation, pricing information, except as required by law. No specified update or refresh date applied in the Service or on any related site, should be taken to indicate that all information in the Service or on any related website has been modified or updated. THIS WEB SITE, THE CONTENT AND THE SERVICES ARE PROVIDED ON AN “AS IS” AND “AS AVAILABLE” BASIS. NEITHER Natures Wonder LLC OR ANY OF ITS SUPPLIERS MAKES ANY REPRESENTATIONS, WARRANTIES OR CONDITIONS, EXPRESS, IMPLIED OR STATUTORY AS TO THE OPERATION OF THIS WEB SITE OR THE SERVICES, OR THE ACCURACY, COMPLETENESS, QUALITY, CURRENCY OR TIMELINESS OF THE WEB SITE, THE CONTENT OR THE SERVICES OR THAT COMMUNICATIONS TO OR FROM THE WEB SITE WILL BE SECURE AND/OR NOT INTERCEPTED OR THAT THE WEB SITE, THE CONTENT OR THE SERVICES WILL BE FREE FROM VIRUSES OR OTHER CONTAMINATING OR DESTRUCTIVE PROPERTIES, DEVICES OR COMPONENTS. USE OF THIS WEB SITE, THE CONTENT AND THE SERVICES IS AT YOUR OWN RISK. TO THE FULLEST EXTENT PERMITTED BY LAW, Natures Wonder LLC AND ITS SUPPLIERS DISCLAIMS ALL REPRESENTATIONS, WARRANTIES AND CONDITIONS, EXPRESS, IMPLIED OR STATUTORY INCLUDING BUT NOT LIMITED TO IMPLIED WARRANTIES OF MERCHANTABILITY AND FITNESS FOR A PARTICULAR PURPOSE, OF NON-INFRINGEMENT OR THAT THE WEB SITE, THE CONTENT OR THE SERVICES WILL BE FREE OF ERROR OR OPERATE WITHOUT DISRUPTION. By purchasing these products, you agree to use products at your own risk. Under no circumstances will Natures Wonder LLC be held responsible or liable, directly or indirectly, for any loss or damage that is caused or alleged to have been caused in connection with use of, or reliance on any product that we sell at any expo, conferences, trade show and retail location. IN NO EVENT SHALL Natures Wonder LLC OR ITS SUPPLIERS, OR ITS OR THEIR RESPECTIVE DIRECTORS, OFFICERS, EMPLOYEES OR AGENTS BE LIABLE, WHETHER BASED ON WARRANTY, CONTRACT, TORT, NEGLIGENCE, STRICT LIABILITY OR ANY OTHER LEGAL THEORY WHATSOEVER, FOR DAMAGES OF ANY KIND INCLUDING, WITHOUT LIMITATIONS, DIRECT, SPECIAL, INDIRECT, PUNITIVE, INCIDENTAL OR CONSEQUENTIAL DAMAGES, BUSINESS LOSSES, LOST SAVINGS, LOST DATA, LOSS OF USE, LOST PROFITS, PERSONAL INJURY, FINES, FEES, PENALTIES OR OTHER LIABILITIES ARISING FROM OR RELATING TO YOUR USE, RELIANCE UPON OR INABILITY TO USE THE WEB SITE, THE CONTENT AND/OR THE SERVICES, WHETHER OR NOT Natures Wonder LLC OR ITS SUPPLIERS ARE ADVISED OF THE POSSIBILITY OF SUCH DAMAGES AND/OR IF YOU TRANSFER CONFIDENTIAL OR SENSITIVE INFORMATION TO Natures Wonder LLC OR IF Natures Wonder LLC COMMUNICATES SUCH INFORMATION TO YOU AT YOUR REQUEST OVER THE INTERNET, AT EXPO, CONFERENCES, TRADE SHOW OR RETAIL LOCATION. You agree to indemnify, defend and hold harmless Natures Wonder LLC and our parent, subsidiaries, affiliates, partners, officers, directors, agents, contractors, licensors, service providers, subcontractors, suppliers, interns and employees, harmless from any claim or demand, including reasonable attorneys’ fees, made by any third-party due to or arising out of your breach of these Terms of Service or the documents they incorporate by reference, or your violation of any law or the rights of a third-party. The products purchased by you at any expo, conferences, trade show and retail location are delivered to the address (NOT PO boxes) specified by you for that purpose within US or anywhere in the world. Delivery will be made only after your payment for the products has been received, unless you have opted for payment in arrears. Any purchase made where shipping is involved cannot be canceled after the charge was made. In such situation, during the transportation of the product(s) Natureswonderus.com will carry the risk of damage, theft or loss. At the moment of delivery of the product(s) the risk passes to you. In case Natureswonderus.com is not able to deliver the product(s) within 30 (thirty) days, Natureswonderus.com shall inform you immediately in writing in which case you are entitled to terminate the Agreement by notifying such in writing to Natureswonderus.com. Natureswonderus.com will repay the amount paid by you into an account specified by you within 30 (thirty) days at the latest, without incurring any other or further liability. We trust you will be completely happy with anything you purchase from us. However, if for any reason you are not happy with your purchase, you can return it ONLY for exchange unopened and unused within 14 days of the date of despatch. The date the products were dispatched to you by us will be outlined in the documentation with your request. You expressly guarantee that all products which are returned for exchange must be in their unique packaging with their names in place. If you appropriately reject any products which are in agreement to 14 days return for exchange of product purchased, you expressly agree to give back the product to us with 20% restocking fee. During the exchange of an item, you may have to pay any difference in cost of the item and any additional delivery cost. We will tell you what this is so you can arrange payment. Governing Law; Consent to Jurisdiction. You concur that the laws of the State of NEVADA (without respect to clashes of law principles) will rule any dispute that may emerge relating to this site or services. The United Nations “Convention Relating to a Uniform Law on the International Sale of Goods” or any successor tradition or law won’t be connected. Any activity relating to these terms may just be acquired and maintained in the Federal or State courts located in the State of NEVADA. You agree to individual jurisdiction and venue exclusively and only in the Federal or State courts located in the State of NEVADA concerning any proceeding related with this site or SERVICES. You recognize and affirm that you are relinquishing any privilege to object to the expressed jurisdiction for any reason. WE AND YOU EACH EXPRESSLY AGREE TO WAIVE ANY RIGHT TO ASK FOR A JURY TRIAL IN ANY DISPUTE RELATED TO THESE TERMS OR THE MATTERS REFERRED TO IN THESE TERMS. THIS MEANS THAT ONLY A JUDGE WILL HEAR AND DECIDE ANY DISPUTE BETWEEN YOU AND US. NEITHER WE NOR YOU WILL SEEK TO HAVE ANY DISPUTE RELATED TO THESE TERMS OR ANY MATTERS REFERRED TO IN THESE TERMS HEARD AS A CLASS ACTION OR IN ANY OTHER PROCEEDING IN WHICH ANY PERSON OR ENTITY SEEKS TO ACT IN A REPRESENTATIVE CAPACITY. ANY PROCEEDINGS WILL BE CONDUCTED ONLY ON AN INDIVIDUAL BASIS. You expressly agree that any provision of any relevant terms and conditions, policies and notices, which is or becomes unenforceable in any jurisdiction, whether due to being void, invalidity, illegality, unlawfulness or for any reason whatever, shall, in such jurisdiction only and only to the extent that it is so unenforceable, be treated as void and the remaining provisions of any relevant terms and conditions, policies and notices shall remain in full force and effect.